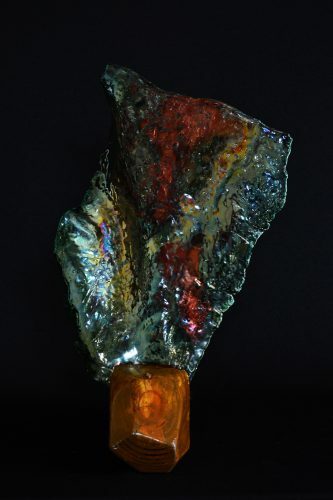 After a 30 year career in information technology, my focus, time, and energy has taken a major shift to creating vibrant Raku sculptures, wearable jewelry art, and unusual copper creations. 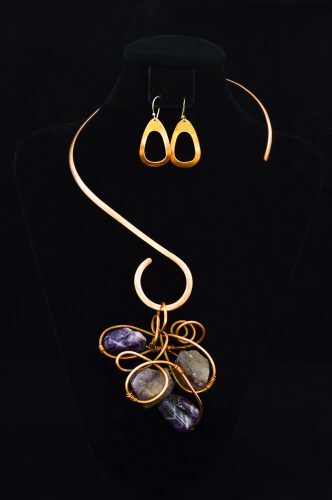 From a relatively simple palette of raw materials consisting of clay, copper, and natural stones, I strive to create unique jewelry, pottery, and sculptural forms. I often combine more than one of my media in a single piece of sculpture. When I start a piece, I don’t have a detailed plan but I embrace the unpredictability of the media I work with. I take every opportunity to explore new concepts and ideas to create one of a kind artwork. All of my pottery is hand molded and no two pieces are alike. I use the Raku firing process to make my ceramic sculptures. This is an ancient technique that involves removing the pottery from the kiln glowing with bright red heat and placed into a cold reduction chamber filled with combustible organic material like newspaper, wood shavings, or leaves. The pottery ignites the materials resulting in an oxygen deficient atmosphere that robs oxygen from the clay creating unpredictable smoke patterns, and spectacular metallic and lustrous effects. Raku is an exciting process, exciting for the artist and spectator alike. There is fire, smoke, and water but the best part is the beautiful and unique pottery that emerges from the ashes. Again, the unpredictability of my media contributes to my goal to create unique non-representational forms. 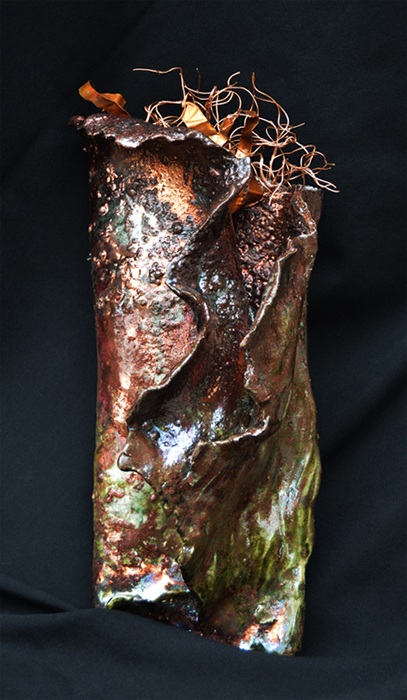 My copper sculptures are extraordinary contemporary sculptures made from various sized tubing which I bend, hammer, and manipulate until I am satisfied with the final form which evolves as I work with my raw materials. My forms are varied but some reoccurring shapes are circles, swirls, curves, and even spheres. I use several techniques to apply surface treatments to highlight certain areas and add more interest and create a variety of values that move your eyes around the sculpture. 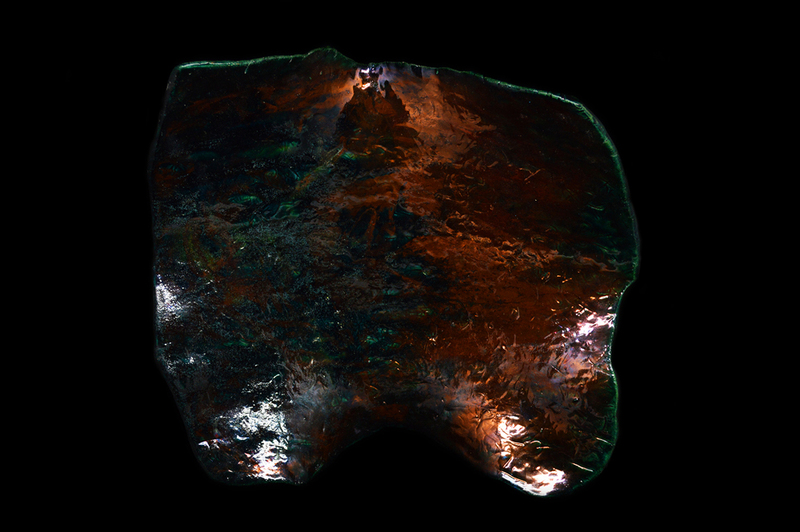 Most often my surface treatments involve polishing and patinas and many of my pieces include elements from my Raku pottery.